Reviewer’s note: the following are in order of their publication, chronologically, and not in the order I read them, chronologically. How I begged for less curiosity and more certainty through a short book nestled between two yellow covers, yellow bright now yellowed dim, filled with propulsion not repulsion, this thin volume a positive introduction or segue to and through Mangold’s strides. With an opener that’s as raw as the gutted building, as burning as timewarp, there spins a clarity through current upon current, splash upon ripple upon tide-whirl of image and active versus reactive world-building: famous angels / diorama / intimacy from artifice” (1). When I read (present tense) this book, I think of placement versus displacement. Think of the certainty and the quality of what makes a circumstance or situation “certain.” What is existing and knowable despite all doubt, despite all subjectivity? Mangold’s approaches to the pre- and post-will that surges through the essence of the human sparks here, ignites there, wildfires throughout this book. “Of pregnancy and gestation / the promises of monsters” (4) and “O / memories O symbolic transgressions Migrate and / devour a strong-box full of meaning O unconscious / kingdoms Pioneering elucidation” (5). 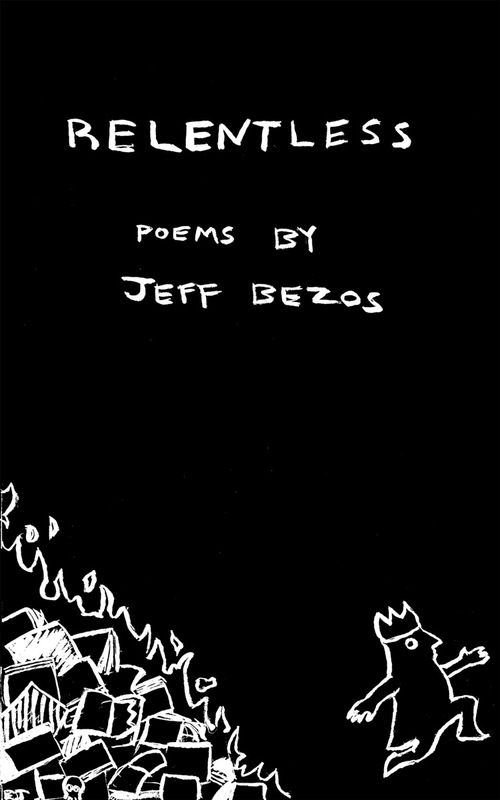 It’s a “rolling chapbook” (I wrote) where ideas come in wave, entrenched through the liquid, rolled across, entrancing through a form maintained but given life through each and every shift. Mangold writes “Device is everything” (6) but curiously still the book and ultimately all of Mangold’s writing shows a tension to move beyond device, move beyond the authority of established method. As her other books reveal, some of the most brilliant, stylized inquiries are some of the most difficult to get and bring close on one, two, or three reads. The process is a soak here. The process is more bathing than the immediacy of a temporary immersion. The more visceral (and thus memorable) is the result of longer engagement, lasting interaction. And yes, that tension exists too, here, Mangold’s longer works carrying this triumph over the fragment certainly and this chapbook uncertainly. Learn more about and/or buy The Goddess Can be Recognized by her Step here. Things that came up when I was reading this lovely book: what is “electrical” and how does that meaning shape the three sections of the book, which are defined not by text but icons that appear like: 1) fuse; 2) push button switch; and 3) antenna? I thought about the idea of waves, which formed my perception and relationship to other ideas in other books of Mangold, and formed my understanding and exploration of electrical currents, which provides light, pain (shockingly so, too), and other forms of energy. There is also direction in electricity, isn’t there? Even at its most natural state, even when not controlled, there is direction. Throughout the three sections, Mangold finely, statically, dynamically writes scenes that are as ponderable as they are challenging. This book may be the most challenging out of the four in terms of its scope and what it hopes to achieve, and does achieve, I think, though as the title of the book implies, there’s a sense of femininity rooted throughout the pages, and even when I found myself approaching the meaning of “femininity” and its presence as a historic and active present term here, I knew I was not fully capable of seeing it clearly. Still, my delusions as a reader aside, there is so much in this book I was able to grasp, so many moments of beauty that Electrical Theories is about, and probably too many for a brief recap as written here. From poem to poem, which all lack formal titles in the bolded form but still reliant upon strong, scene-identifying first lines, Mangold crafts a scene embodying a stillness that does not deserve to be still. I rapidly took notes throughout my reading of this book, rereading of its poems, noting a sense of what first appeared wild but then transformed into poignant and then I spelled out words like “responsive” and exploring Mangold’s own expressed term, a dismantling of imperialism (7). In the case of the book, the imperialism is Imperialism but also that style, that form, belonging to the world of writing and linguistics. And that is where the sense of the wild/poignant narrator, the speaker, is so brilliantly filled with agency and allowance. There is a response to history, to the industry of writing, but the goal feels less about the response as a response and more about an active deconstruction, a fulfilling through awareness and, mentioning again, agency. As found in “She has a gilt complex and a poison pen” (for example): “Endless couplets and in the brilliant sunshine / the unchanging things began again. Non-pressure modalities. / The characters of the story were always tiresome. The / administrative and problematic heavy industry publications” (13). The beautiful and the existential is bound to now, present, movement through the switches that control the current. Most of the time, I found the book a complexity of complexities. Finding the book’s endnotes of little help in deciphering all of the contexts and clues, I resorted to a read that pulled me through the book little by little: by waypoint, by repetition and patterned occurrences of characters and metaphors. Mangold in this book especially is a leader of synchronicity and thorough, aligned construction. But opposition to history, oppositions to systems, opposition to what is a clearly masculine and terrible automation (machine-like indeed!) results in a book that is truly, clearly of its own, and both playing and working within its own rules and possibilities. Completing the book is a cause of resulting series of questions to be popped open like balloons above the head, releasing new air and an enlightened sense of readership (and being). 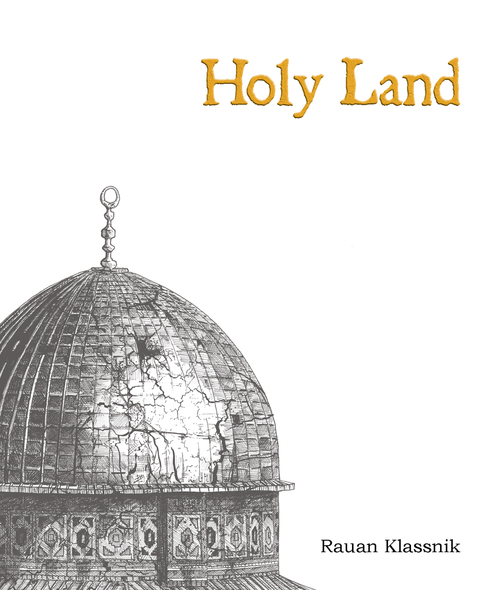 An incredible experience, the book leaves as it begins: by asking what is any relationship with history and how will that relationship change once it has been identified? 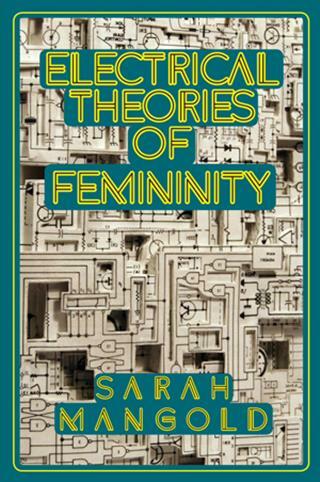 Learn more about and/or buy Electrical Theories of Femininity here. 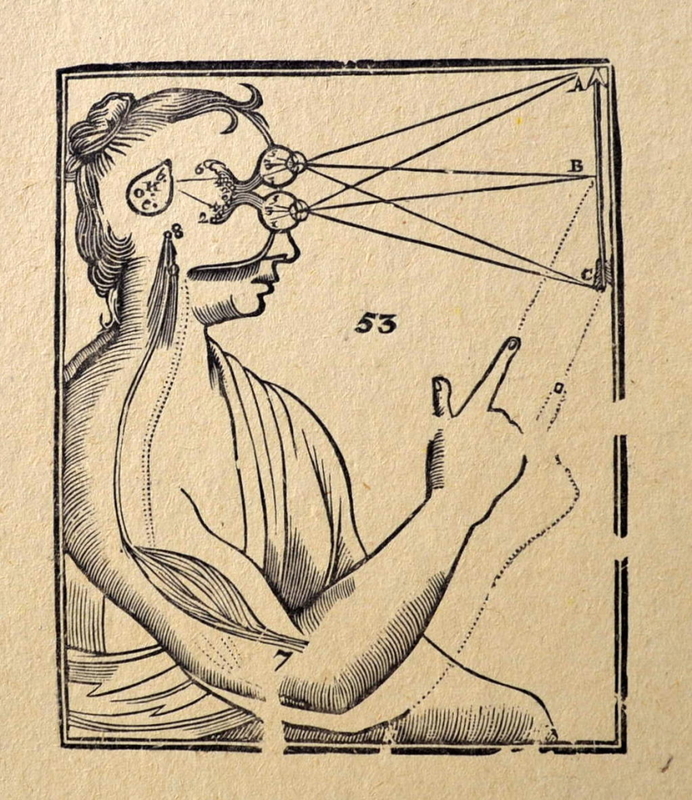 Within the chapbook in front of you is a realm of logic. This realm provides ifs and subsequently thens. There are statements. There are truths. This sturdy poetics may appear as sturdy poetics, as straightforward, but Mangold’s image craft here is potent and affects bluntness elementally. The image, then, is additive and though the truth and the beauty within often reach excessive heights, an apparently intentional concentration on image is hardly decorative. Mangold’s utilization of the image is a space to channel feeling. Pools of emotions. Laborious. The laboratory. The nearly alchemical in a very subtle but very harmonious (a la sober meets drunk, to use an analogy the book inspired within me as the reader) experimental process of discovery and offerings. This is not the medieval experimentation of dragon’s breath and spider’s silk. Mangold provides in this chapbook the hallucinogenic expression of the pastoral. A 21st century nod to a transcendental escape of exploration: clouds and mountains reoccurring. The imagery a phantasmagoria, a sequence of sets of spaces and descriptions. And that which can be seen: how do we see it? Less tension and more conjoining, more bridge, is present in the metalogic Mangold uses as fixative, as binding agent, as lubricant for her condensed collection of works: “There is in it no place for / individuality Prevalent emotion progressive tints horizon” (4). As a supplement to the grand and the total that can be seen in her other works, this book has its place as an incision, as a compass, as a guide. It offers insights into how Mangold’s work as a poet is combinatory, serialized. Writing as ethereal and whispering as Robin Blaser, to use an example poet whose tones find their own mirrors here, in ways, sets itself out in front of the reader and is gentle, meditative, open to be found, open to be applied. Mangold has provided us with a treasure here. How much it will glisten in the firelight going forward is yet to be seen, known, understood, acknowledged. Learn more about and/or buy A Copyist, an Astronomer, and a Calendar Expert here. 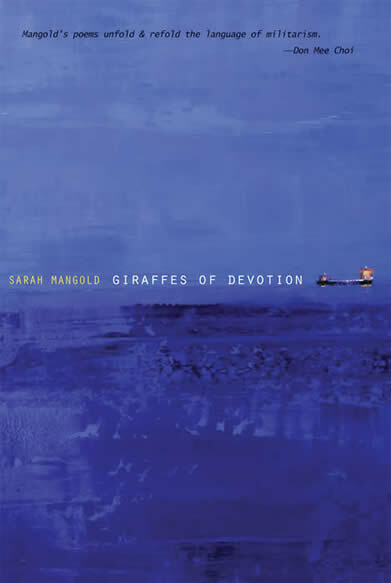 What Giraffes of Devotion has to do with giraffes I do not know, and yet I do know that conceptually, this book is Mangold’s latest and most definable concept. Strangely (and, I would argue, incorrectly) labeled as Mangold’s “poetic debut,” this book would be better called “another poetic debut.” Though the previous books reviewed above use identifiable and unidentifiable bodies of sources and findings to make up the text, none of them go so far as to deeply dive into the movement of erasure and the found object in the same way Giraffes does. As Amaranth Borsuk writes on the book’s back cover way more elegantly descriptive than I ever could: “Mangold strings together the lives of two generations of women who found themselves inadvertently positioned as occupiers abroad.” This book, then, is a reporting of those women and their experiences, and also a channeling of the emotional and biographical energy Mangold faces as a scientific and historical writer engaged with documents of the past. The book covers language of eras throughout the early 20th century. The other voices of the other women Mangold finds of importance, personally and, as the book demonstrates, poetically, carry the book from page to page. It is ghostly. The language comes from a variety of voices and homes, reflecting on experiences that melt together through the book. The reforming here is another exploration, a following of the motif, of the role and relationship with history. I did not see this book operating that way when I read it, which I did first among all the books described here, but after I read the other books. It is a belief, critically so, in the energy that can be harnessed from history that informs Mangold’s work here, as it does so much of her other work. It is a diligent inferring that appears to be stabilized in knowing history’s own reliability, despite how strangely malleable history really is. The list poem, as quoted above, continued throughout the book. It is a series of keywords and terms that are strung together alphabetically. Action verbs. Prepositional phrases. People, places, things. The links that string the rest of this book’s document (and the documents it refers to and through) together. It is a postmodern anecdote, in a way, a two-way mirror looking backwards upon itself, it being the book, it being the best and most appropriate source of challenge. To think of a book that discusses itself. To think of that level of awareness. Mangold provides the space for such internal dialog, equal parts terrifying and brilliant and perhaps slightly schizophrenic, though a book of multiple voices brought forward by the author has to be slightly schizophrenic, especially as it communicates and discovers answers on its own. What then, for the spectator that is the reader here? In previous books, the spectator and the role of the reactive is duly and responsibly criticized. In Giraffes, perhaps Mangold is after less counterculture of that nature of more of a counterculture of nurture: one of love and, as mentioned, homage. Perhaps the purest and most direct triumph that this book sees when matched with her previous three books is a relationship to the self that is a self potentially described with words like redemptive, honest, courageous, and selfless. In the face of war, in the face of the military, and in the face of that which is foreign, a text working towards that which is humble and empathetic may find more success than the other methods in the other books. 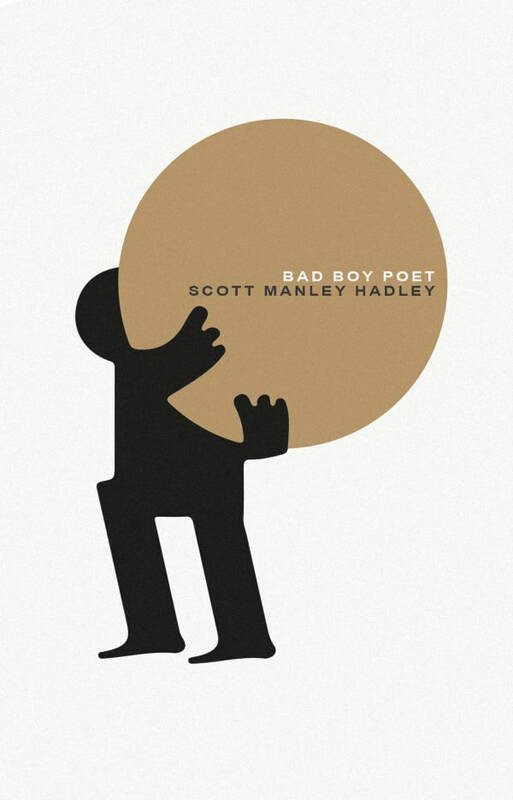 And yet the shadow looming over the crafted poems is the undaunting presence and pressure of a culturally estranged/different era, one where racism, misogyny, and otherness are extreme and extremely contentious with the tone that is carried through the book. Perhaps then what makes this book even more brilliant is the subtext and subtones operating to evoke a tension between the reality of that history and the carefully placed uplifting of the other, kind voices of women found in the found text. 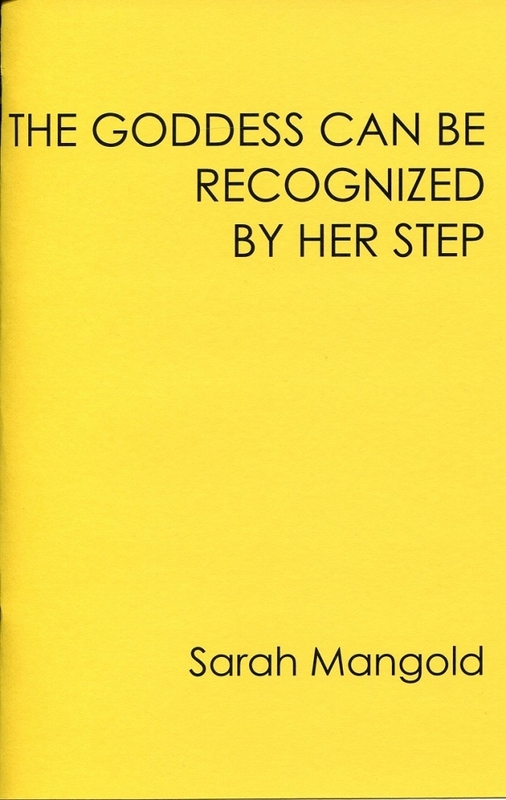 These individuals, oppressed by the patriarchal military industrial complex (and ultimately viewable like others of other books, movies, and so on), were not necessarily aware of their position and role, and thus in presenting them to us through her own mind, her own linguistic prowess, Mangold gives their language and their identities profound new life. Learn more about and/or buy Giraffes of Devotion here. Greg Bem is a librarian, technologist, and poet living in Seattle, Washington. Greg grew up in Southern Maine, lived in Rhode Island, lived in Philadelphia, and has most recently lived on two different occasions in Cambodia as an information management specialist and archivist. His adventures can be usually be found described at http://gregbem.com/wordpress.